Mariam Ibrahim, the Sudanese mother imprisoned for six months and released from death-row charges for apostasy, was released for the second time on Thursday night. She had been re-arrested less than 24hrs after being freed by the court, after being driven to the airport in a US Embassy car with her family. Ibrahim, along with her family, was hoping to travel to the US　via South Sudan – which gained its independence from Sudan in 2011 – as there are no direct flights. This time, she was released from police custody, and is currently in the US embassy with her family, said Ibrahim’s lawyer, Mohaned Mustafa. 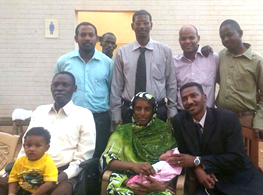 Ibrahim was released on the condition that she remains in Sudan. She told BBC Arabic that her ‘future is in the hands of God’, and that she just wants to spend time with her young family. Ibrahim, who until Monday faced a death sentence for leaving Islam, was freed when the court threw out the charges. She, her husband and two children attempted to board a plane Tuesday in Khartoum, only to be detained as Sudanese authorities scrutinised their travel documents. Despite the emergency travel documents issued by the South Sudanese authorities being confirmed as genuine, Sudanese officials have accused her of forging the travel documents. A Sudanese foreign ministry official, Abdullahi Alzareg, told the BBC that Ibrahim is Sudanese and should not have been using another country’s travel document, stamped with a U.S. visa. World Watch Monitor is curating a Twitter feed on this developing story. Click here to view the feed. Below is the June 23 news report on　Ibrahim’s　release from prison after a Sudan court threw out apostasy charges against her. Photo courtesy of Hardwired, Inc.
Mariam Yahia Ibrahim’s death sentence for apostasy has been struck down by the court of appeal in Khartoum, the capital of Sudan. “The release of Ibrahim was declared during a plea that was brought to the court of appeal by the Commission for the Defence of Women,” according to the national Sudan News Agency. Ibrahim and her two children, a two-year-old son and a baby girl born this month, are believed to have been released from the prison in North Khartoum this afternoon. They had been detained in the jail since February. “We are very, very happy about this – and we’re going to her now,” another of her lawyers, Elshareef Ali, told the BBC. Ibrahim, a 27-year-old Sudanese doctor who gave birth to her daughter while in shackles, had been condemned to death by hanging during a sentencing that was conducted May 15. The boy also was forced to stay in prison with his mother, as his father was refused custody because he is not Muslim. 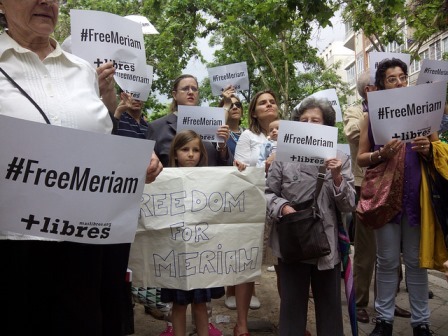 “Today’s ruling is a small step to redressing the injustice done to Mariam. However, she should never have been prosecuted. Mariam was sentenced to death when eight months pregnant for something which should not be a crime,” said Sarah Jackson, Deputy Africa Director at Amnesty International. The American Center for Law and Justice, a Washington D.C. based group that uses litigation to press for religious and speech freedom, called the ruling a significant victory for religious freedom. The ACLJ took part in a global campaign by sending out a legal letter to the Sudanese government on behalf of 350,000 people outlining its violations of law and demanding freedom for Ibrahim and her American children. Ibrahim was accused of apostasy for refusing to renounce her Christian faith. The authorities had previously said that Ibrahim’s release would only be possible if she renounced her faith and divorced her husband, although Sudan’s 2005 interim constitution guarantees freedom of religion. She was charged as a Muslim because her father was Muslim. 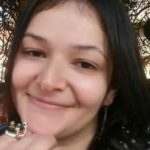 However, Ibrahim claimed to be raised as a Christian because her mother is Orthodox Christian and her father left the family while she was young. Previous court rulings had ordered her to receive 100 lashes for committing adultery as they did not recognise her marriage to Daniel Wani, a Catholic American. Under Sudan’s Sharia law, Muslim women are not allowed to marry Christian men. A June 11 statement released by the Catholic Church of Khartoum suggested that members of Ibrahim and Wani’s families may have been motivated by a desire to access the couple’s businesses, which includes a barber shop and agricultural products. It also said a lawyer who first dealt with the couple’s case in September 2013 was forced to stop representing them due to pressure from Ibrahim’s accusers, including her brother. Some in Ibrahim’s current legal team have received threats from extremists who say their actions are “un-Islamic” and that they, too, should receive death sentences. Agence France Presse also reported that extremist groups had lobbied the Sudanese government to uphold the sentence. Sudan has a majority Muslim population, and Islamic law has been governing the nation since the 1980s.